Nicknamed the “Queen City”, Charlotte, North Carolina once earned the title of “Best Place to Live in America”, and it’s no surprise. With it’s ample employment opportunities, great housing affordability and low crime rates, Charlotte NC a great place for families. For travelers, Charlotte is a wonderful family-friendly destination and offers a myriad of interesting events and attractions. Discovery Place, a museum of kid-friendly science exhibits, also offers IMAX films, on-going exhibits and the Charlotte Natural Museum. Another fabulous place to visit when in Charlotte is Carowinds, a 105-acre, action-packed amusement park that will delight people of all ages. We found exceptional hotel discounts at top rated Trip Advisor hotels in North Carolina. Click on the links below to compare NC hotels, room, rates, ratings and amenities. Best Western Hotels, the largest hotel chain in the world with over 4,000 hotels, can help you plan your getaway. Now offering three level of comfort. The Best Western, Best Western Plus, and Best Western Premier. Find your Best Western Here. 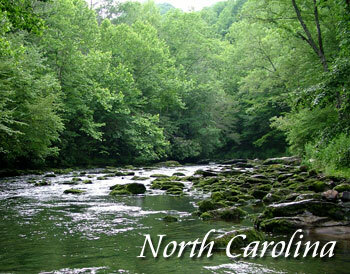 Contact us to feature your North Carolina hotel or lodging property. Charlotte, N.C. has aptly transitioned into a new millennium. Wayfarers need wheels to move around the city. Air travelers will find the city amply supplied with car rental agencies. Public transportation lags behind the city’s recent growth so beware. Charlotte, however is a wonderful travel destination. From museums to fine dining. True southern hospitality awaits.